When I hung up the phone after talking with Mia Hamm, I put on my helmet and sprinted out to the huddle, ready to help my teammates move the ball 90 yards for the game-winning touchdown. At least, that’s how I felt. 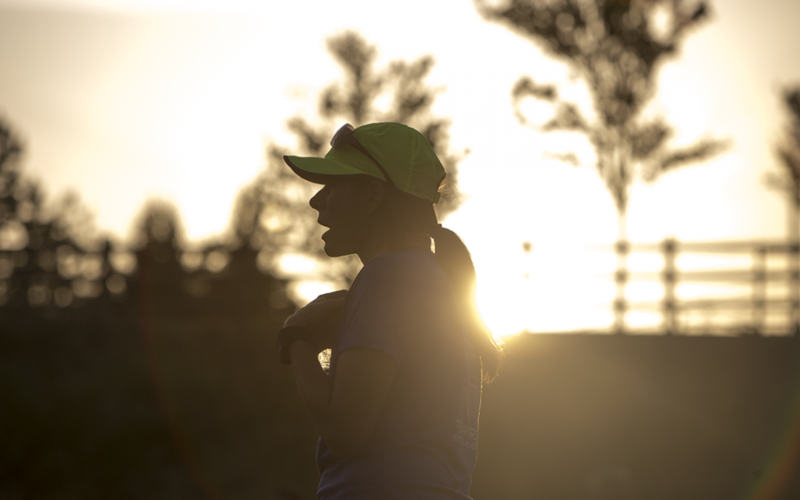 I had the feeling that I had just been coached – not in football or any other sport, but in life. In 2012, ESPN chose Mia as the greatest female athlete of the last 40 years. Personally, if I earned a comparable honor, it would probably be the second sentence out of my mouth – maybe even the first – every time I met someone. If she weren’t a humble person, you could understand why. Her list of achievements is absurdly impressive: two-time FIFA World Player of the Year, a member of the National Soccer Hall of Fame (and the Alabama Sports Hall of Fame, the Texas Sports Hall of Fame and World Football Hall of Fame), four-time NCAA Women’s Soccer Champion with the University of North Carolina at Chapel Hill (her win-loss record at UNC was an unthinkable 94-1), college All-American, ACC Female Athlete of the Year, two-time Olympic gold medalist, professional soccer player, Women’s World Cup Champion. There are too many others to list here. How did the toddler who wore corrective shoes and struggled to walk properly end up as a hero to millions? For Mia, sports began as more of a social pursuit than an athletic one. But sports can be a cruel metaphor for life; with the glory of victory comes the heartbreak of loss. Mia’s family suffered the ultimate heartbreak when her brother Garrett died in 1997 of complications from aplastic anemia, a rare blood disorder. In typical fashion, Mia found a way to make something positive out of her grief by launching the Mia Hamm Foundation, a nonprofit dedicated to promoting awareness of aplastic anemia and raising funds for families in need of a bone marrow or cord blood transplant. Mia on the field during the Live Fearless soccer camp this past summer. In 2015, Mia broadened her outreach on health issues when she signed on as a Live Fearless Ambassador for Blue Cross and Blue Shield of North Carolina. Her goal – pardon the pun – is to inspire people, especially moms and their daughters, to live healthy lives to the fullest. And as most parents know, issuing dietary commandments probably won’t get the desired result in children’s eating habits. Mia advises parents to take a similar nurturing approach to their children’s athletic interests. “Kids are going to make mistakes as they learn a lot of these skills for the first time. For young kids, winning isn’t as important as learning about giving your best and making progress. If you’re blown out in the first game 8-0 and lose the second game 2-0, that’s progress. 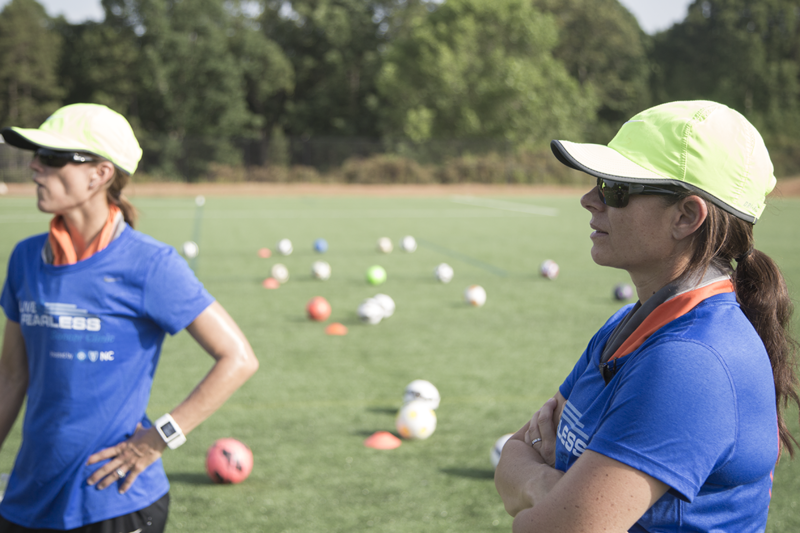 As the ultimate soccer mom herself, Mia Hamm empathizes with parents – mothers, in particular – who find it difficult to make time for themselves and their own health. As we ended our conversation, I could hear Mia’s adorable three-year-old son – named after her dear brother Garrett – calling his mother. If the phone interview was a time-out from the beautiful insanity of Mia’s life as a wife and mother, the break was now over. She hung up the phone and went back into the game. And I did the same, heading out to the huddle, charged up and ready to play for the win.